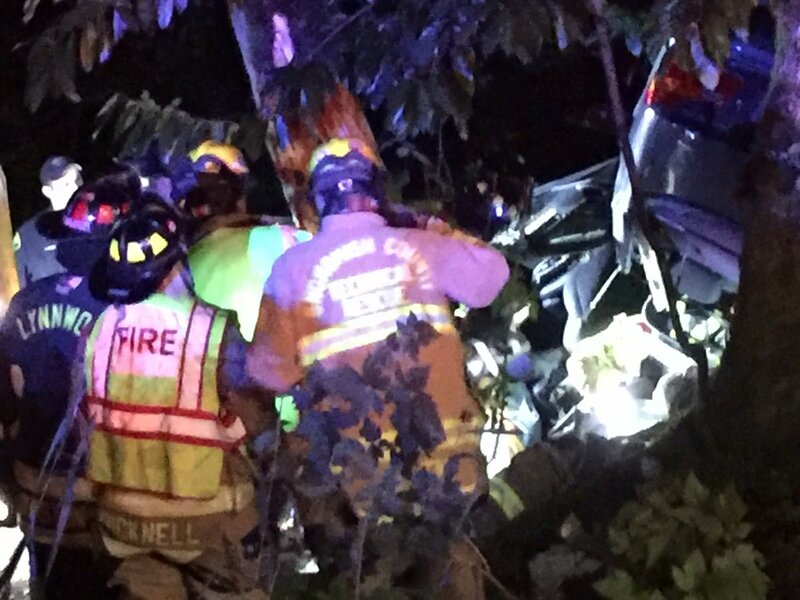 Edmonds police say that two teenage boys were killed and three more teens were injured in a single-vehicle, high-speed motor vehicle crash on Friday evening. According to MyEdmondsNews.com, a group of five teenagers was driving eastbound on Olympic View Drive at approximately 11:30 p.m. in a late-model BMW sedan. Police believe the driver failed to negotiate a hairpin curve and lost control of the vehicle, causing it to exit the roadway and strike a tree in the ravine. The road, which is set in a heavily wooded area, is known to locals for its sharp curves and posted 20 mph signs. Some news reports have suggested that the teens were driving upwards of 70 mph at the time of the collision, though Hawley did not mention that in his official statement to the media. Loved ones have set up a GoFundMe account for the surviving family of one of the boys killed in the crash. Our thoughts and condolences go out to the grieving family.